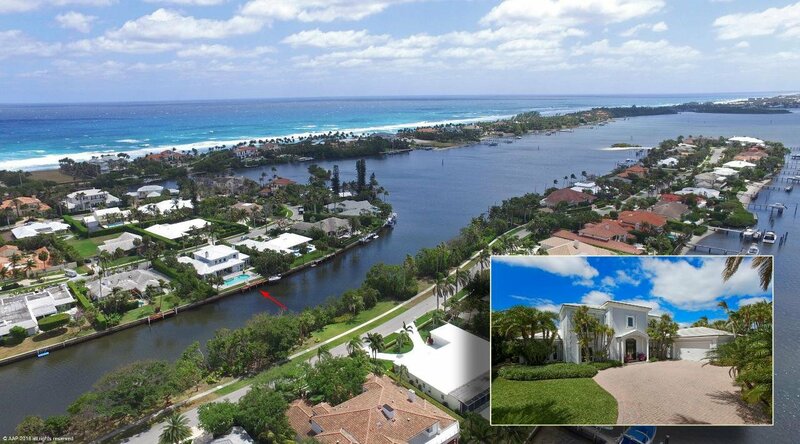 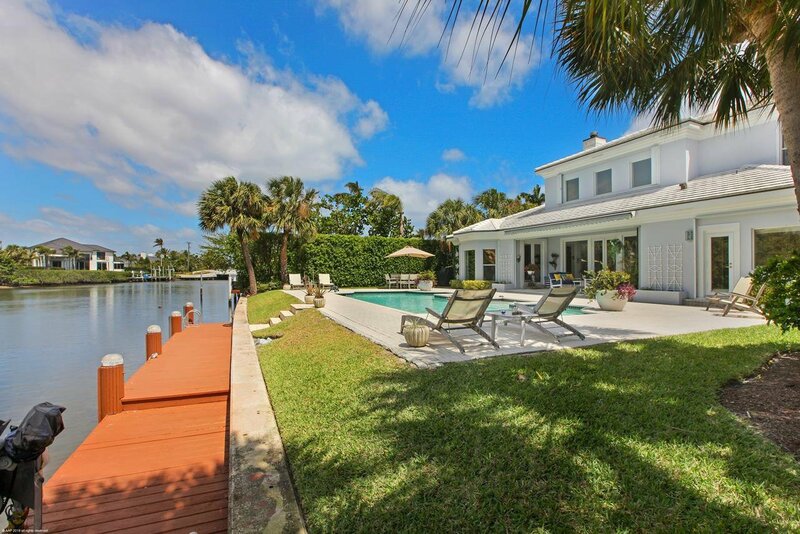 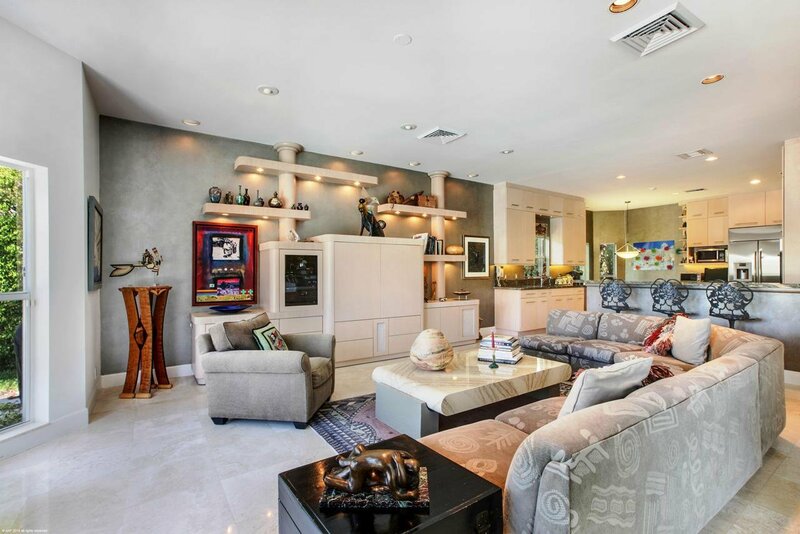 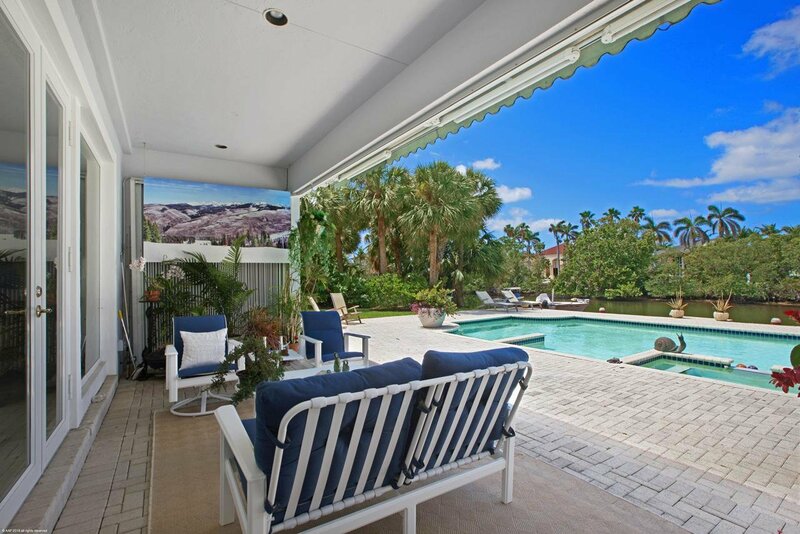 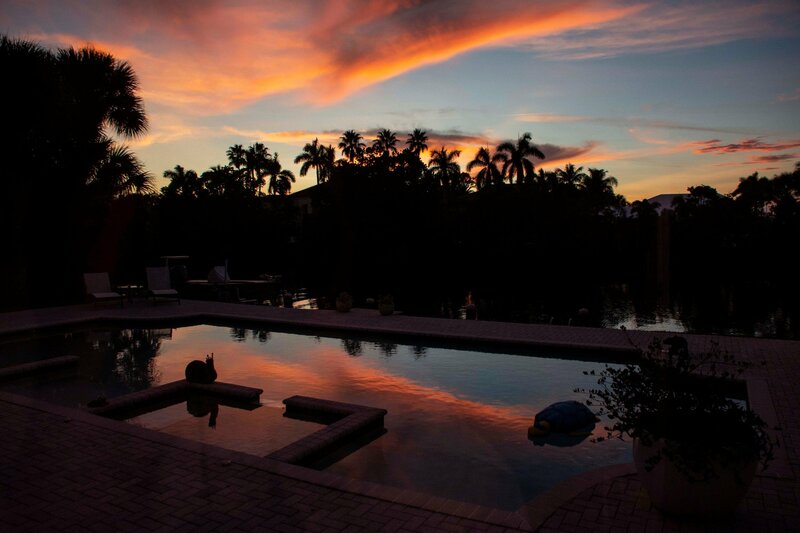 This spectacular 2 story 5 bedroom, 5.5 bath home offers you the best of South Florida waterfront living. 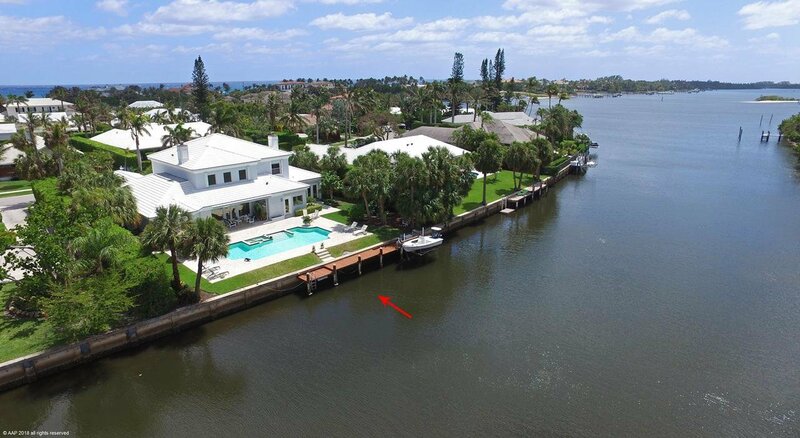 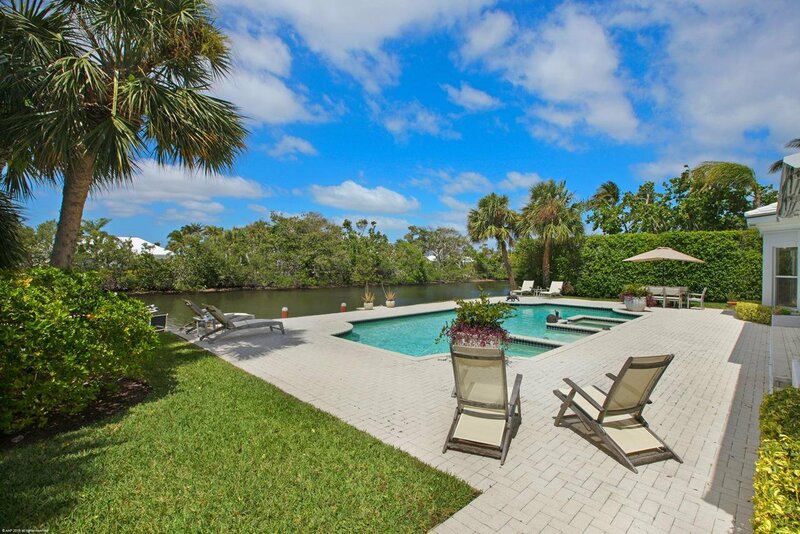 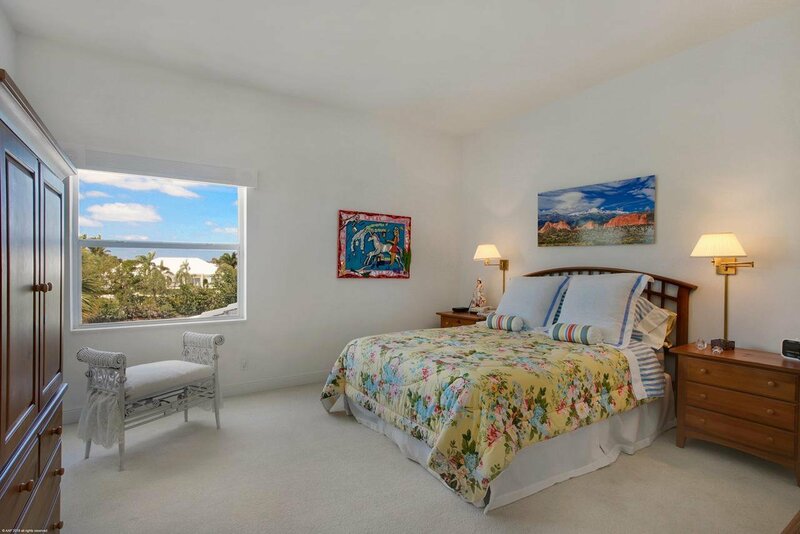 Located in a very private area with natural preserve views across the water and your waterfront dock which can accommodate up to a 25' boat, is nestled in the tranquil Intracoastal waters surrounding the Point making for an easy and relaxing ride to the open Ocean. 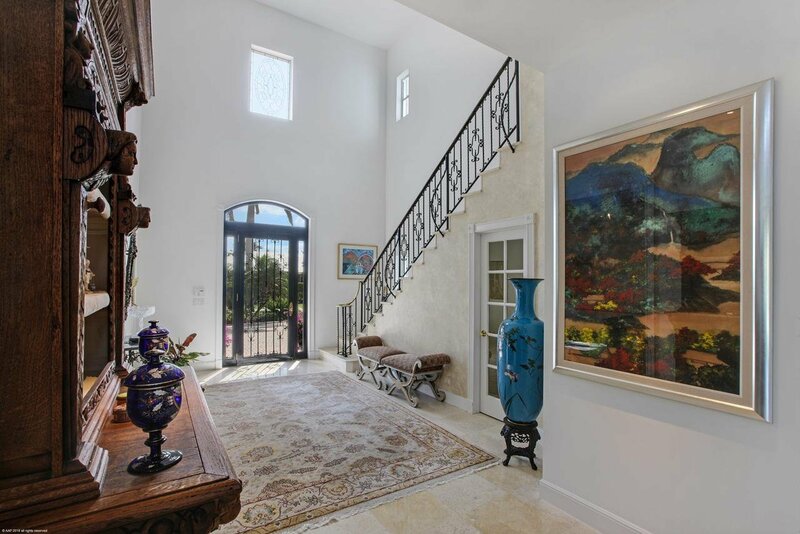 The grand two story entrance foyer sets the stage and welcomes you to an open floor plan bathed in natural light. 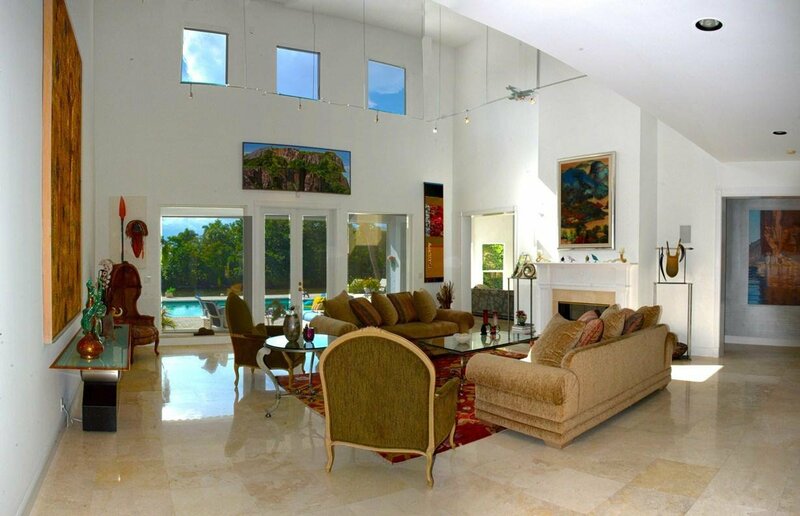 This spacious home offers dramatic custom lighting, vaulted ceiling and double height walls. 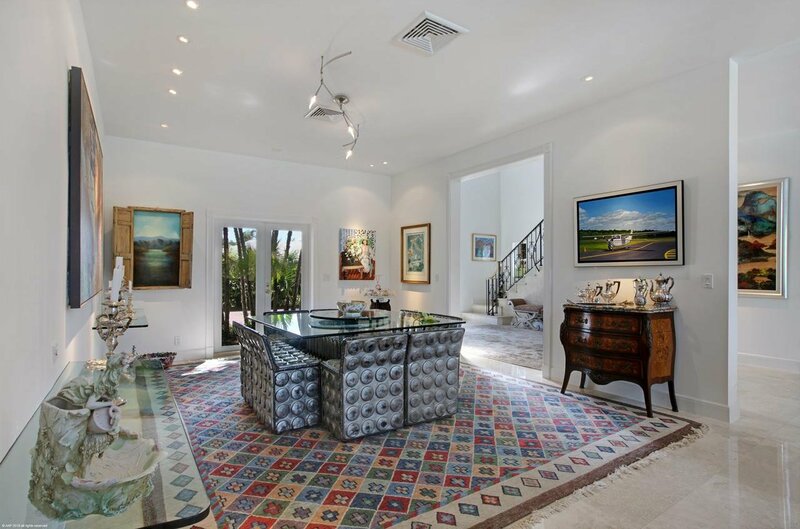 You and your guests can move easily from the formal living room with its inviting fireplace and fabulous views to the adjacent dining room that provides doors that access the lushly landscaped yard and pool area. 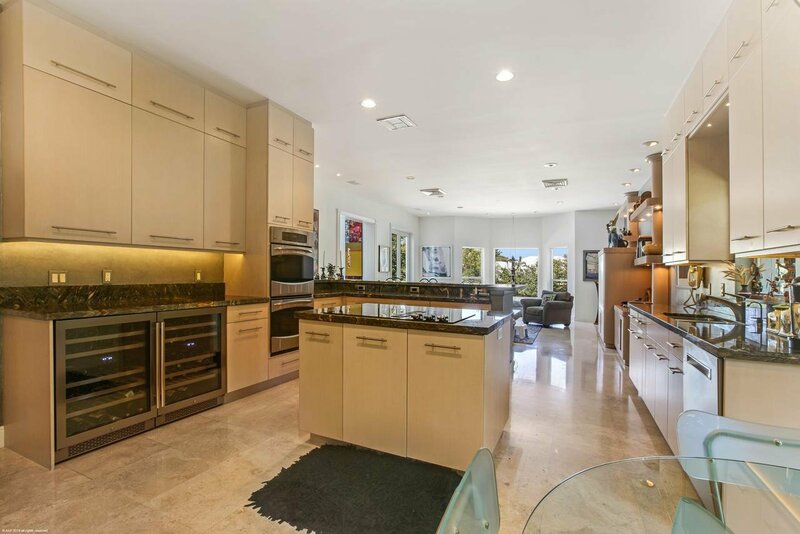 The renovated dine-in gourmet kitchen offers a center island range, top of the line stainless steel appliances and dual wine refrigerators. 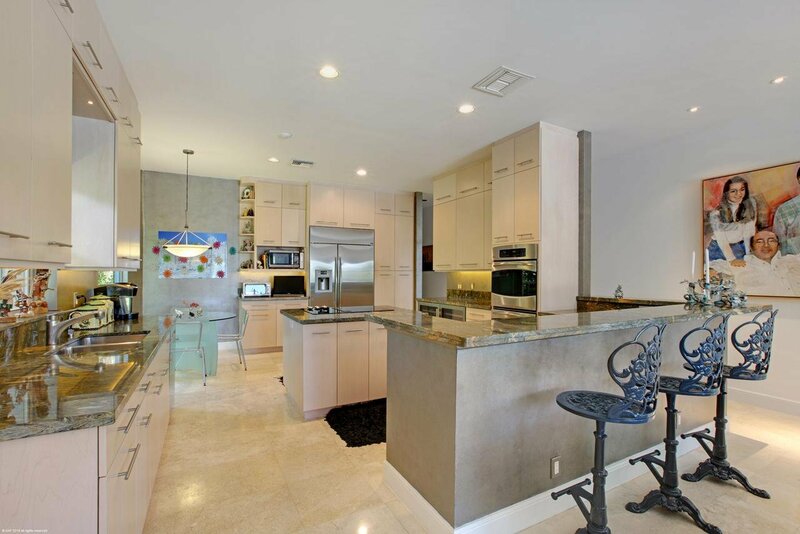 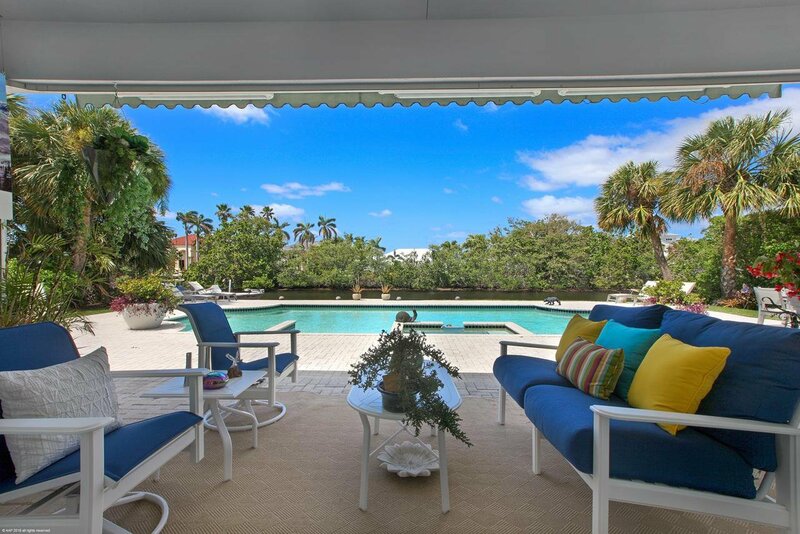 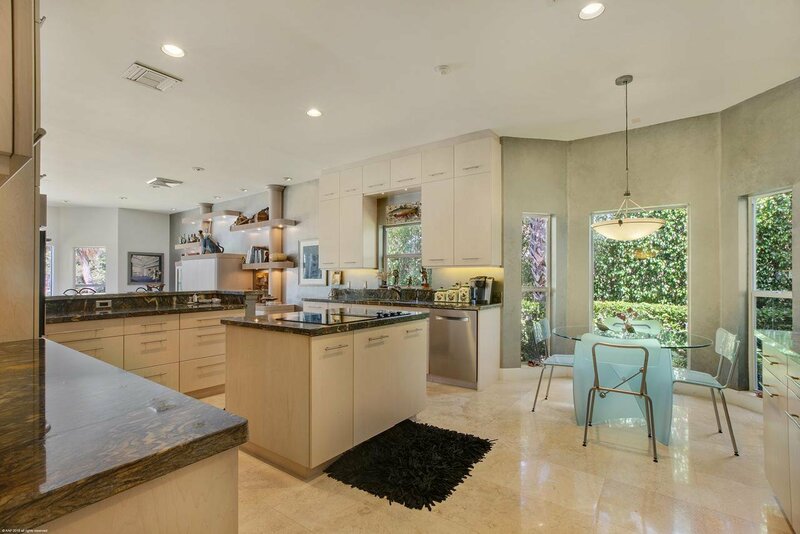 There's incredible prep space and a countertop eating area which can also be used for serving hors d oeuvres and drinks in the adjacent, spacious family room that opens to the loggia and expansive 45' x 20' pool and spa that overlooks the Intracoastal Waterway. 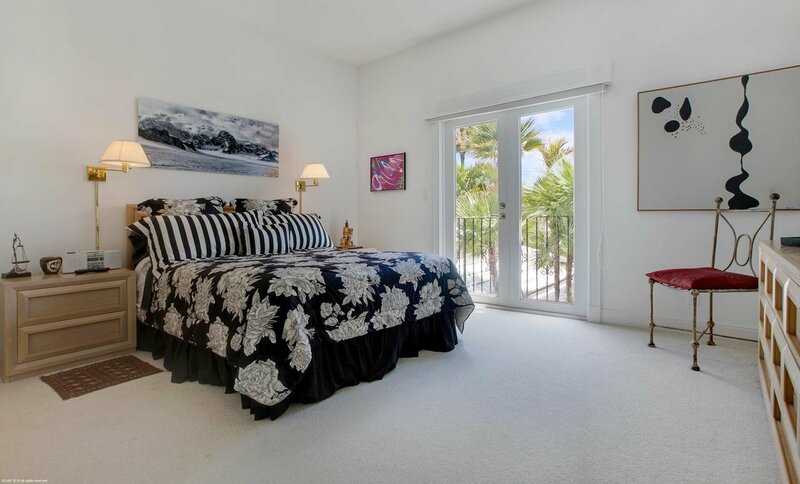 The first floor oversized master bedroom suite with coffered ceiling and fireplace includes a sitting room, custom closets and a sun filled bathroom. 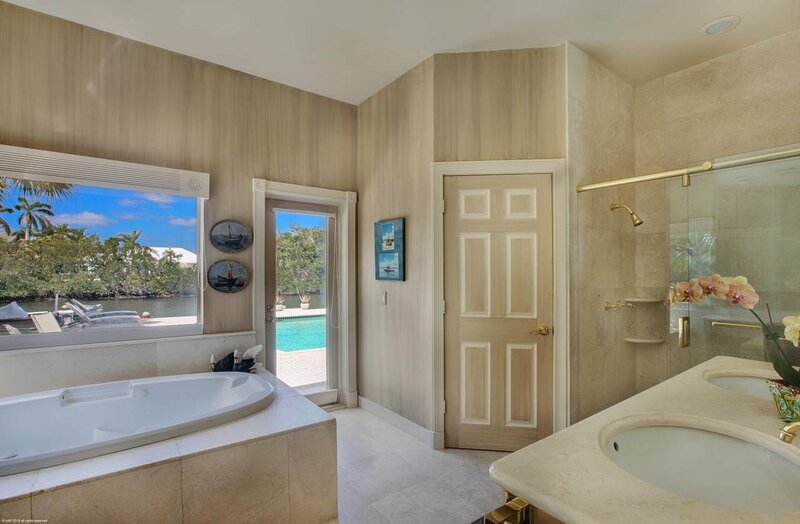 The beautiful custom wrought iron and marble staircase leads up to three bedrooms each with en-suite bathrooms. 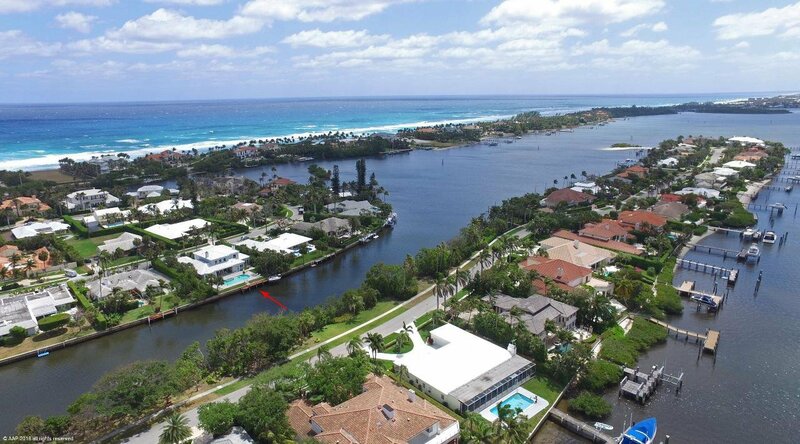 Located just 20-minutes from both the heart of Palm Beach and world class shopping along Worth Avenue, is the exclusive seaside town of Manalapan. 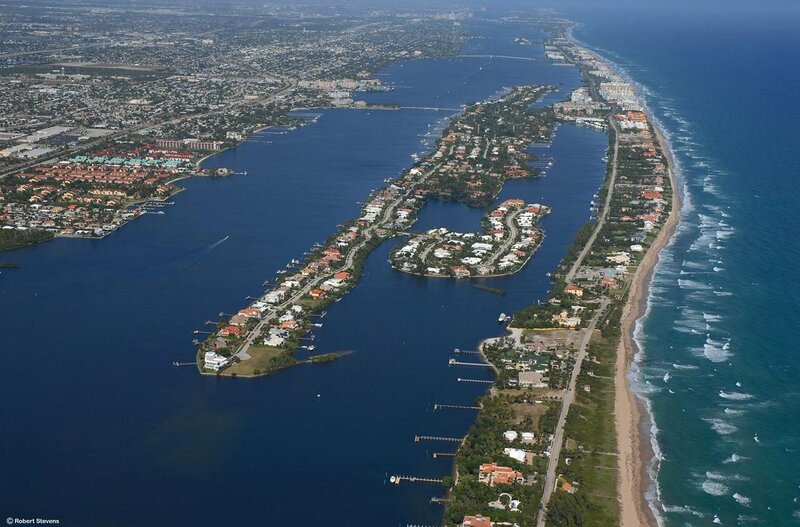 Rated by Forbes as the most elite zip code for multi-million dollar waterfront homes in America, Manalapan offers gorgeous sandy beaches, turquoise waters, and unique amenities including membership at the very exclusive La Coquille Club at the Eau Spa Hotel. 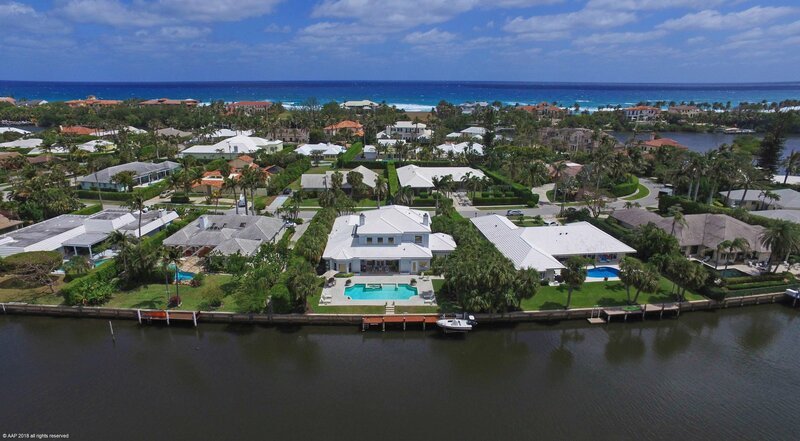 For the discriminating home buyer, this fabulous lifestyle is available at a fraction of the cost of comparable home ownership in Palm Beach. 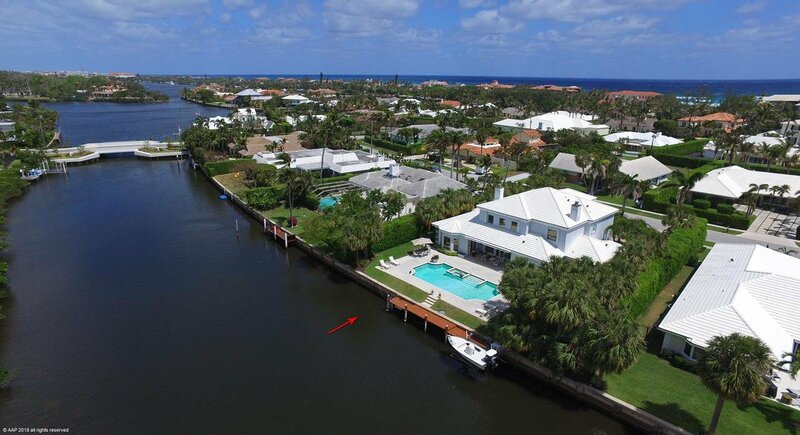 With 192 of Manalapan's 200 luxurious homes providing direct water access for boaters, this extremely private, secure and very exclusive island location is the best value among south Florida's million dollar plus upscale living communities.